How Will MD Water Restoration Help Me? There are a lot of water damage restoration companies out there who offer a variety of helpful services. After experiencing a frustrating water or fire disaster, it’s totally reasonable for a distressed homeowner to want the absolute best service to get their house back to normal. When a disaster such as a flood or fire happens, time is of the essence. You need to get it fixed – fast! We are here to help you fix the damage before any further problems occur. MD Water Damage Restoration offers a majority of helpful services in your time of crisis. Plumbing problems like leaky pipes or a clogged toilet may seem innocent enough, but they can cause an excessive amount of damage. A slow drip can lead to a big problem over time. Ruptured appliance hoses, unsealed windows, and leaky roofs need to be checked frequently for water damage. These problems don’t just happen in your home, but they can also happen within your commercial building. Sewage problems can lead to health hazards. If you encounter toilet or sink backups, signs of water damage indoors, or sewage odors/overflowing, call us immediately so we can clean and replace the damaged or effected areas with our industry-grade professional equipment. It’s difficult to plan for floods or storms, but when they do happen, they can cause irreparable destruction. Floods not only put your possessions and furniture at risk, but they can cause damage to the foundation of your home or commercial building as well. This can be extremely dangerous if not quickly taken care of. In addition to construction complications, the water damage can ultimately cause a hazardous mold infestation if everything isn’t extracted, sanitized, dried, and replaced properly. If storms or flooding happen, call MD Water Damage Restoration and we will respond quickly to assess the situation and provide the best possible service. Residential fires can be devastating and frankly, quite a mess to clean up. We not only specialize in water damage but in smoke and fire damage as well. We will arrive on scene within 30-60 minutes of your call to examine the extent of the fire damage. The property will need to be thoroughly cleaned and disinfected, and all unsalvageable items will be disposed of properly. MD Water Damage Restoration will quickly and efficiently restore your home or business to its pre-fire condition using proper extraction equipment, dehumidifiers, and various sanitation methods. 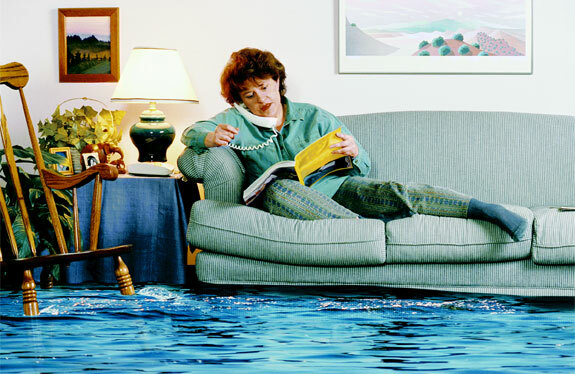 When you encounter any problems like these, don’t hesitate to call MD Water Damage Restoration services right away. Our experienced and licensed technicians will be there within 30-60 minutes to clean up the mess and get you back on track. If you have any questions, contact our 24-hour services for a free estimate.